Our regular Open Hours at the Ole Farm House are Tuesdays, 10 am to 4 pm. If that is not convenient for you, give us a call, 552-3023, if we can accommodate you, we will be happy to. We are a working farm, and we also work the farmers market, so we are quite busy at times. ​ALL PRODUCE IS LOCAL PICK UP ONLY ! Dates available are approximate only. Availability depends on weather & crop success. EITHER ON THE FARM OR AT THE GREENEVILLE FARMERS MARKET LOCATED AT THE DOAK HOUSE MUSEUM ON THE TUSCULUM COLLEGE CAMPUS. IT WILL BE COMING IN AROUND AUGUST. ​WE WILL KEEP YOU UPDATED HERE ! 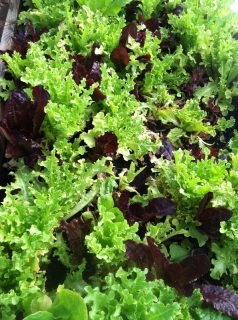 ﻿﻿﻿﻿SPRING MIX LETTUCE BLEND ! A Beautiful Orange Bell Pepper that is Sweet & Delicious. Sold by Each. 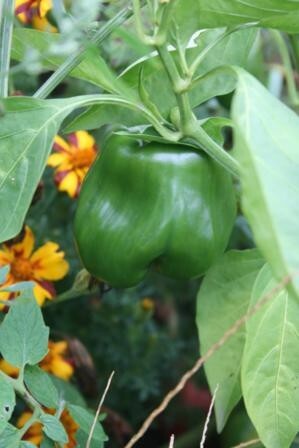 An excellent, thick walled, blocky Bell Pepper.. A great Choice for a green bell pepper. An Italian Bell Pepper this is very sweet, crisp and tender. Amazingly sweet, this long, thin, red Italian Sweet Pepper is delicious. Traditionally used as a frying pepper. Pickled banana peppers are a favorite on salads and sandwiches. They get sweeter as they ripen, but let them go too long and they'll turn a brilliant red. The most refined purple carrot available. Beautiful red-purple exterior provides an amazing contrast with the yellow-orange interior when sliced. Sweet almost spicy flavor.
" SMALL AMOUNT AVAILABLE NOW"
Introduced in the 1890s. Once the most important commercial sprout variety in the US. 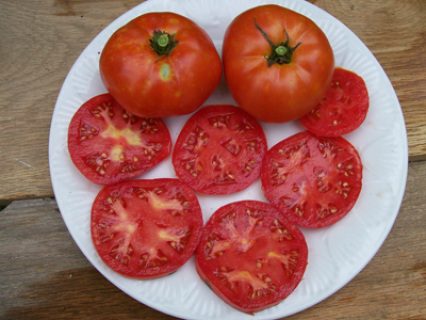 Italian Heirloom introduced to U.S. gardeners in 1890. Great for freezing. A wonderful HEIRLOOM, prolific Sweet Italian Pepper. Large, long,thin,golden yellow pepper, incredible sweet. Traditionally used as a frying pepper, they are delicious roasted, and raw as well. An excellent pepper for drying or for fresh eating. It ripens from creamy white to orange to red and has a nice sweetness and a little heat. Heirloom carried through the Underground Railroad by an unnamed black man as he crossed to freedom in Ripley, OH, from Ky. Seeds were passed on to Aunt Lou, who passed them on to her great Nephew, and eventually on to Heirloom Tomato enthusiast Gary Millwood. They are Dark Pink, 4-12 oz fruits, tangy and juicy. Sparse foliage. It was acquired from the Amish near Lancaster, Pennsylvania. Bright red 8-12 ounce fruits vary in shape from oxheart to rounded plum. Delicious flesh is juicy and meaty, excellent for sauce or fresh eating. One of Slow Food USA’s Ark of Taste varieties. Reportedly introduced into Southern France around 1850. Stunning 8" Oval Fruits are white with purple stripes. Thin-Skinned fruits with mild white flesh.